You Are Here: Home > Need Credit Help? Kendall Auto Credit of Oregon – Helping you get the credit you deserve! No Credit? Bad Credit? Bankruptcy? Repossession? We can help! Kendall Auto Credit of Oregon specializes in helping our customers secure an auto loan. Even if you have bad credit or no credit, Kendall Auto Credit of Oregon can help you get the credit you deserve. And with our HUGE selection of inventory, you’ll be on your way to driving the perfect car for your situation all while improving your credit profile! No matter what your credit looks like, even if you have been turned down for financing, Kendall Auto Credit of Oregon can help! We have access to multiple lenders and financing options other local dealers do not. At Kendall Auto Credit, we can help you establish or repair your credit rating while putting you in a vehicle that serves you and your family’s needs! Just complete our simple credit application and you’re on your way! You will be contacted by one of our finance specialists to go over your application and begin the process of securing your auto loan. At this point we will set an appointment and have you visit one of our multiple dealers here in the Eugene area. Get Ready! Before you know it you will be driving your new car! Thank You Kendall Auto Credit! Not sure what your options are? Contact us by phone or email and let one of our specialists discuss your situation and help point you in the right direction. Kendall Auto Credit of Oregon is part of the Kendall Auto Group! We have helped customers in our community for over 75 years! Loan guidelines – how do I get qualified and what are my options? Financing options have broadened over the past few years and that is GREAT news for those seeking bad or no credit auto loans! Apply now! We can help you structure a loan that best serves your overall credit profile and needs. How can I get approved before visiting the dealership and finding the perfect vehicle for me? Through our lending partners, you can get approved for a Used Car Loan before you come in to our used car dealership. Even if you have bad credit! Complete our secure credit application and get pre-approved before you pick the car or truck you will be driving home! Kendall Auto Credit of Oregon has a unique approach to helping our customers secure a budget car loan in Eugene! During our interview process, we will help you understand your options and what your money buys, given your particular credit situation. What if I have a Chapter 7 bankruptcy? Oftentimes, Kendall Auto Credit of Oregon can help you secure a Bankruptcy Car Loan before your bankruptcy has been discharged. Contact us! We can discuss your options in more detail. What if I have a Chapter 13 bankruptcy? Kendall Auto Credit of Oregon has helped many customers in the middle of a Chapter 13 secure an Auto Loan. We can help you with your options and Chapter 13 requirements. Contact us to find out more! Our current economic environment has caused bad things to happen to good people! Our second chance program will help you get a bad credit car financing! There are many reasons why your credit profile has been hurt – job loss, medical bills, divorce and many more reasons. Help us understand your situation and we can go to our lenders on your behalf and help you secure the credit you deserve. Depending on your particular credit situation, there are many lenders and lending options available to you. The best thing you can do is submit a Secure Online Credit Application and let Kendall Auto Credit of Oregon help you explore your options and more importantly secure an auto loan that best serves you, your credit profile, and your unique vehicle requirements. 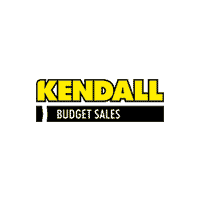 Kendall Auto Credit of Oregon is part of the Kendall Auto Group. The Kendall Auto Group is one of the most respected auto groups in the Northwest. We strive to give our customers an unparalleled experience. Our mission is more than just selling you a car! Our mission is to help you secure an auto loan and improve your credit profile in the process. Contact Kendall Auto Credit and let us begin the process of helping you secure an auto loan! Click here to begin a short and secure finance application. If you have questions, feel free to give us a call at 855-603-2992.